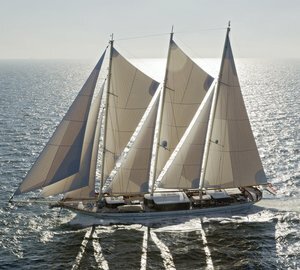 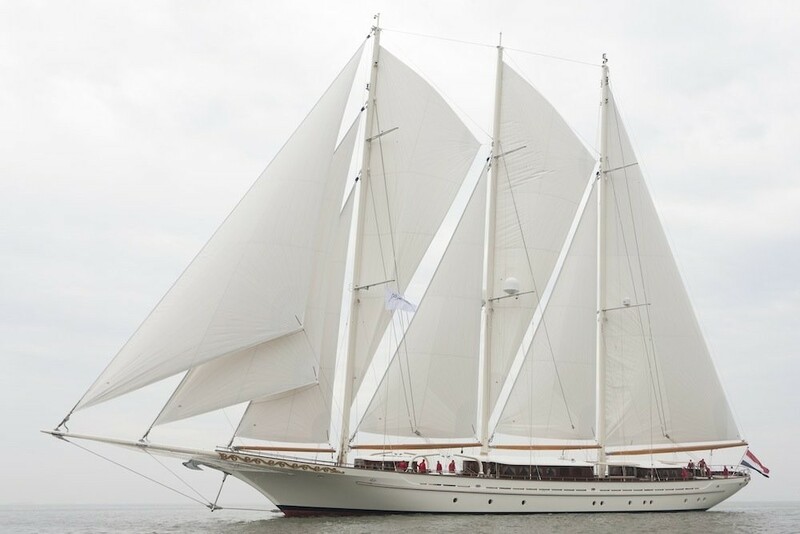 MIKHAIL S. VORONTSOV is a three-masted classic yacht with a concept design by Valeriy G. Stepanenko, measuring 63.5 m in length over all with a launch date in 2012. 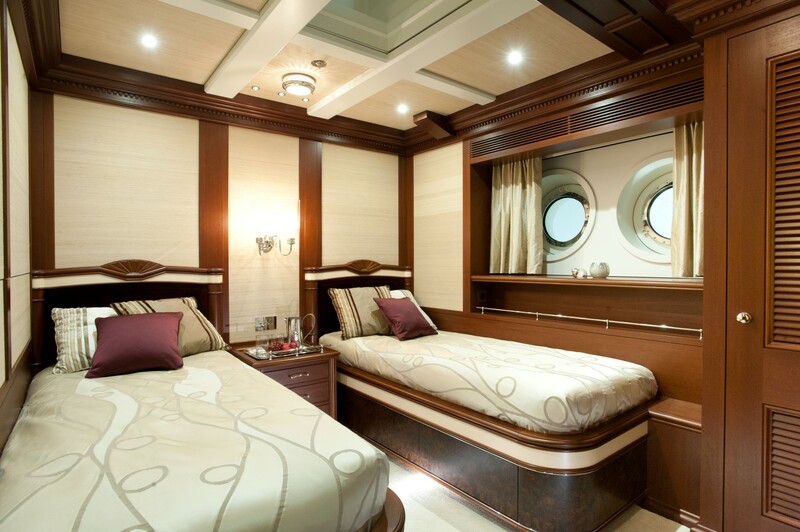 She can accommodate up to 12 guess in 5 lavish cabins. 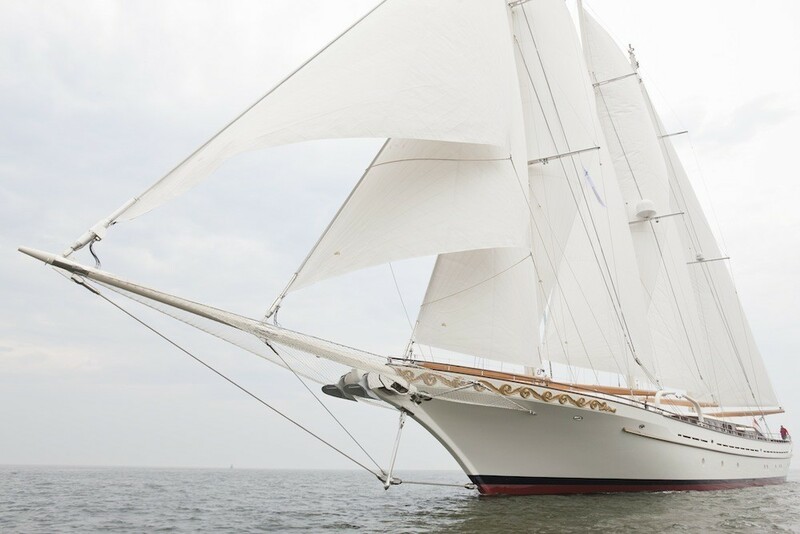 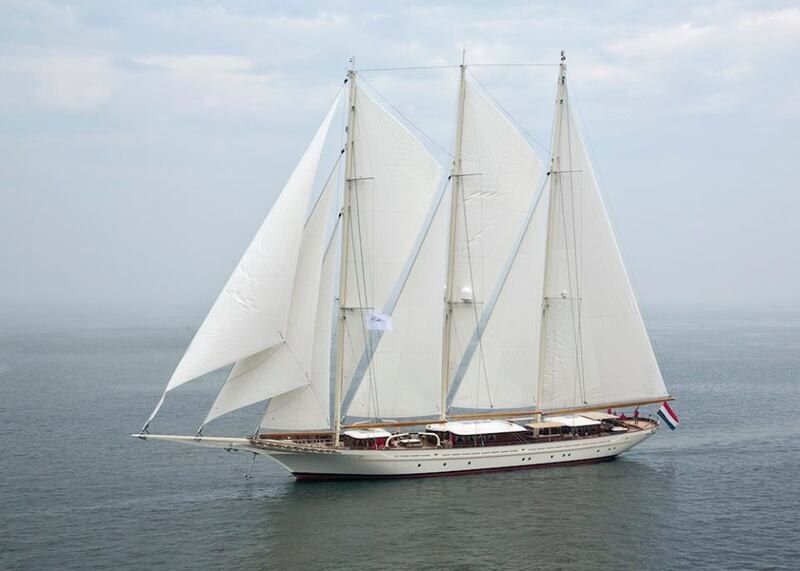 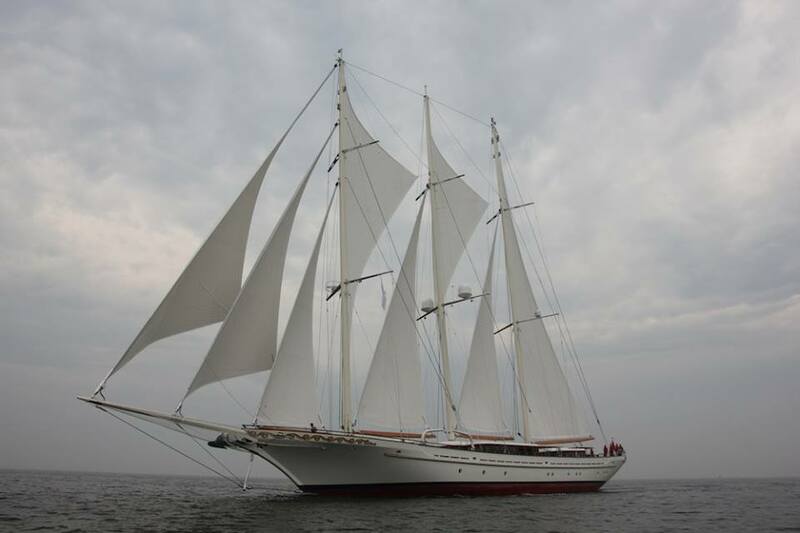 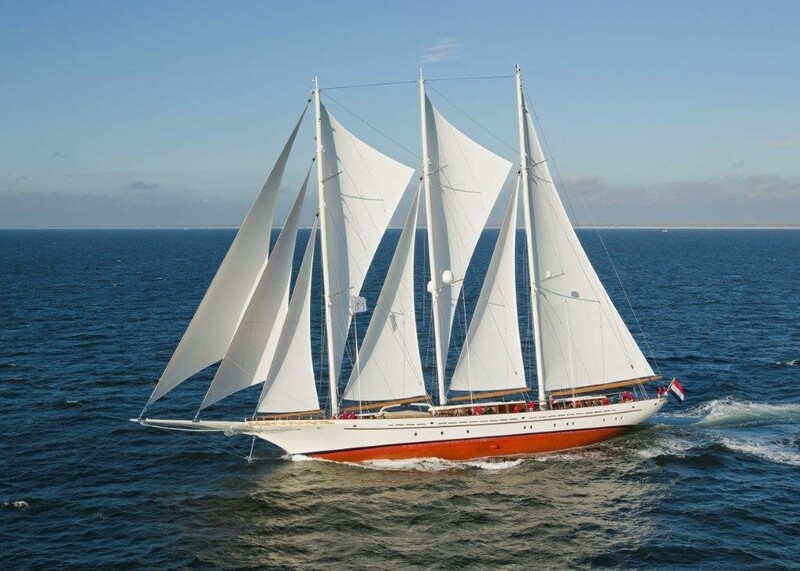 MIKHAIL S. VORONTSOV is an all wood classic sailing schooner. 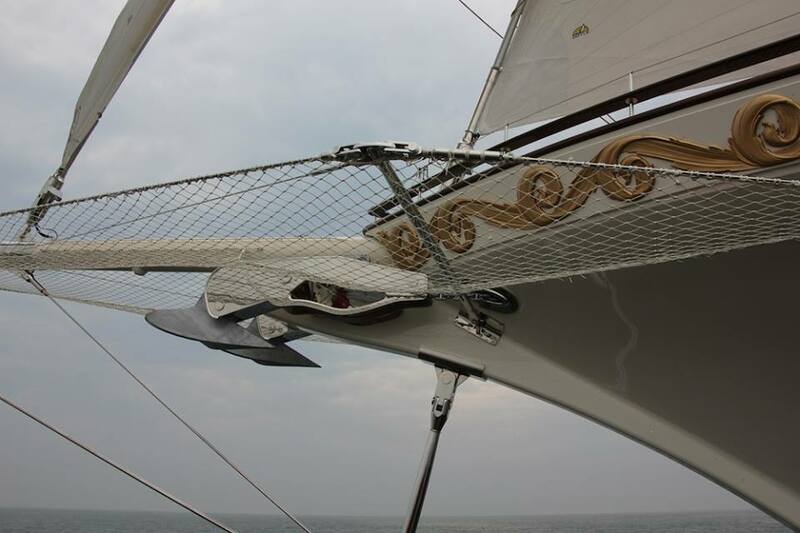 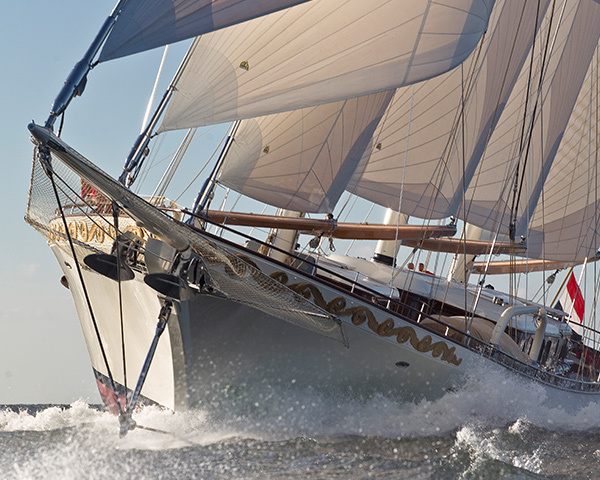 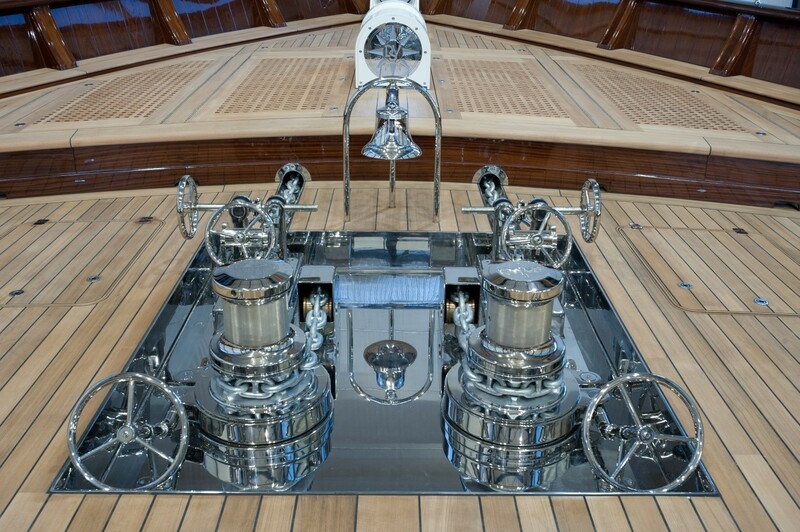 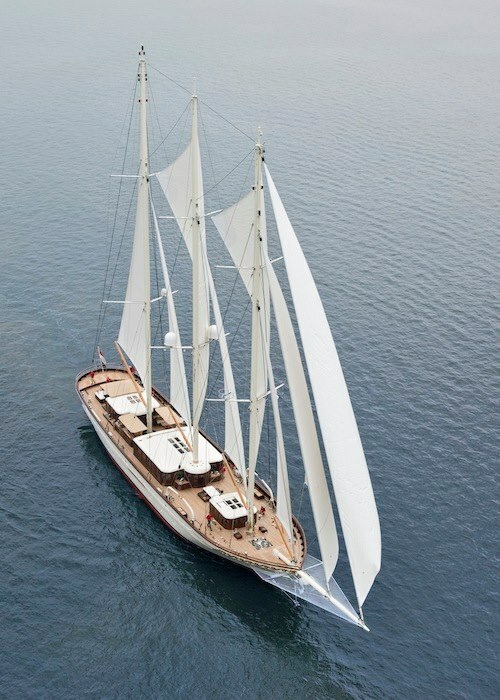 She has thoroughly modern sailing systems, rigged with aluminium spars and carbon fibre booms. 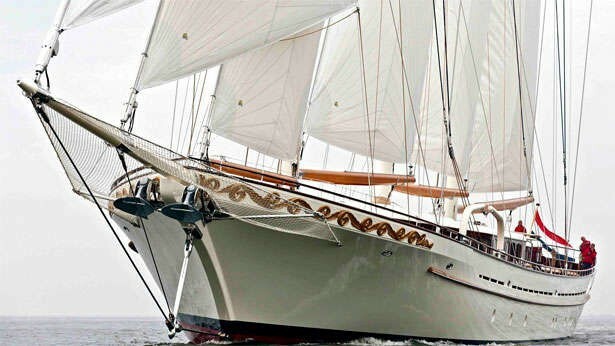 All Doyle sails are Reckmann furled and all sail handling gear is Rondal. 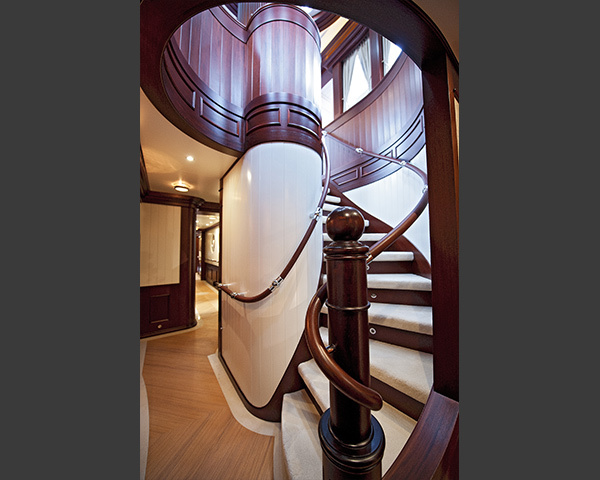 Dark rich woods line the interior walls, with natural light flowing in from multiple sources. 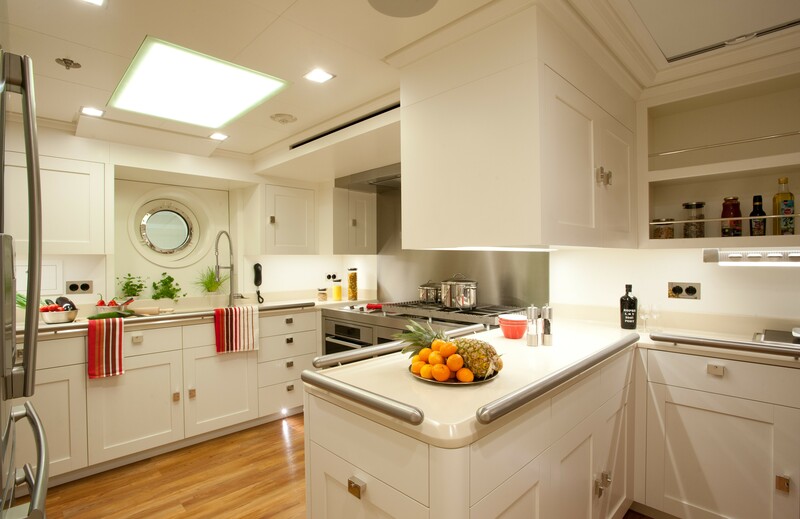 There are skylights surrounding the mast and the interior does not feel enclosed. 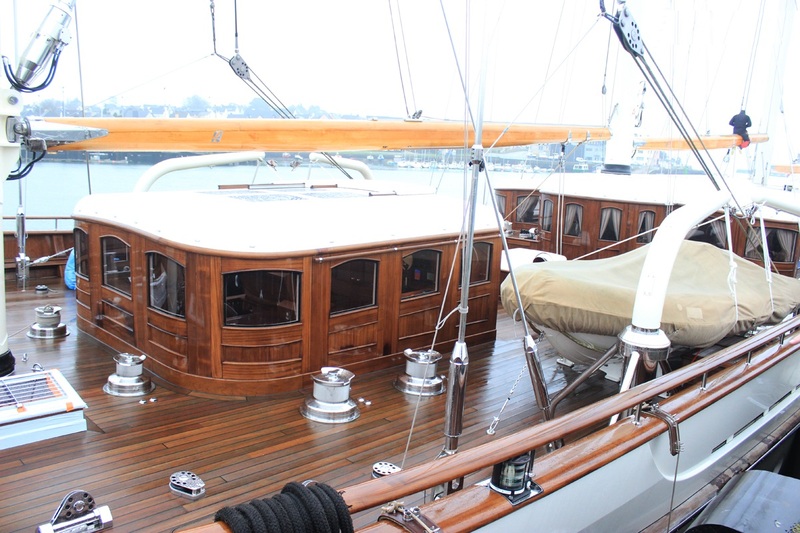 The main deck is completed with three deckhouses. 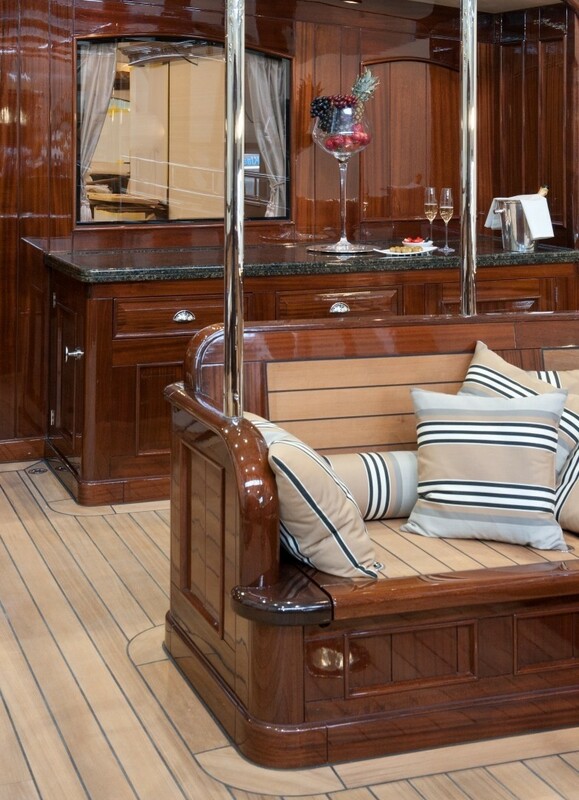 The aft deckhouse serves as the owner's private lounge, and can also be used as secondary guest lounge. 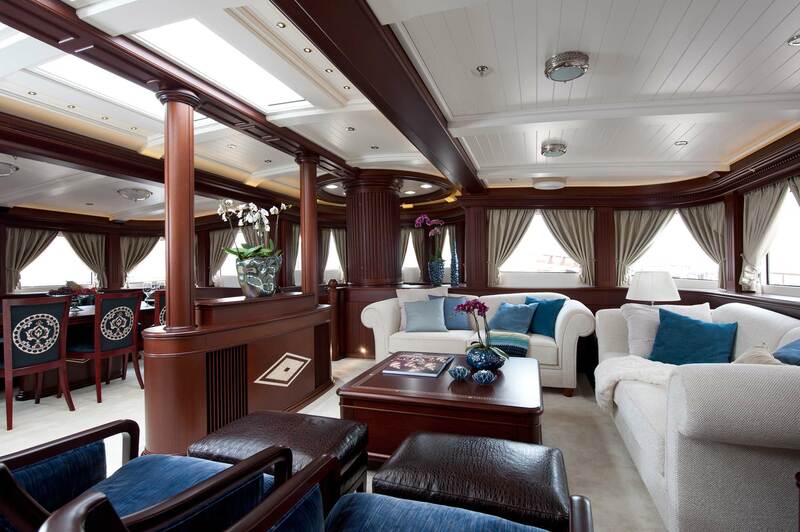 The salon, in the middle, is the primary lounge, within the central and larger deckhouse. 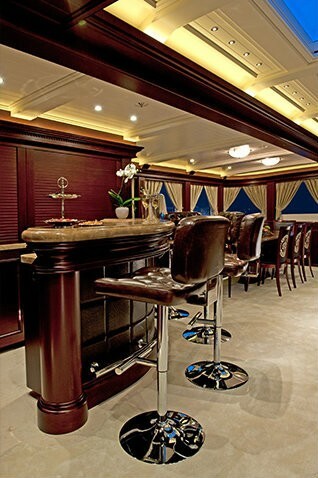 There is a comfortable dining area as well as lounge area and spacious Bar. 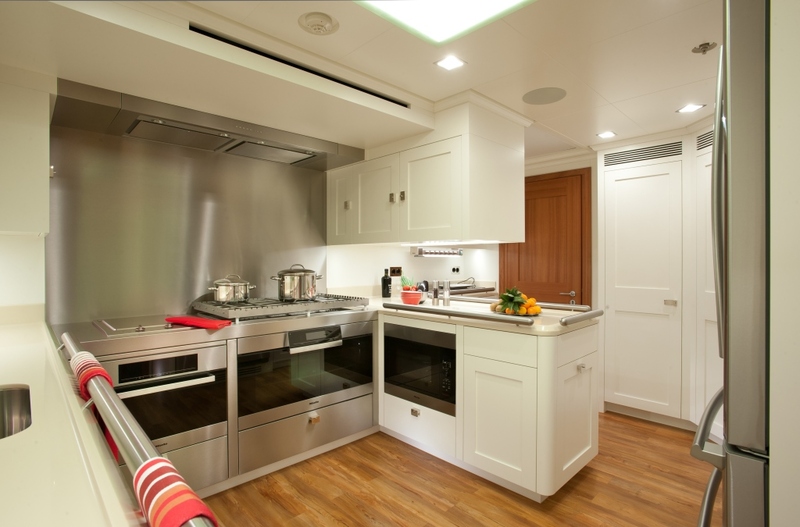 The wheelhouse is located in the forward deckhouse whilst the accommodation is on the lower deck. 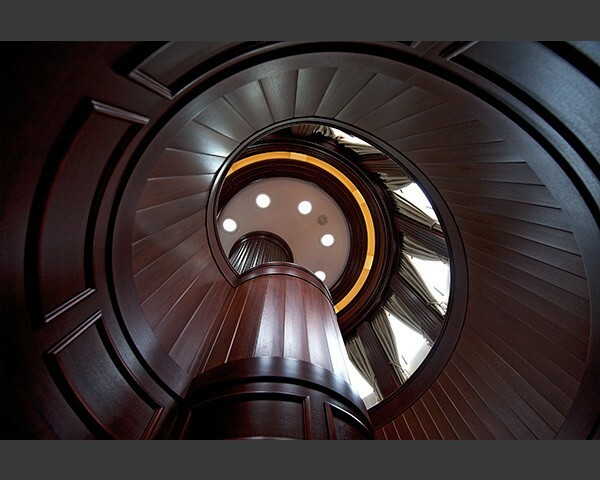 Her architecture is by Dykstra & Partners and the DVS Project Group. 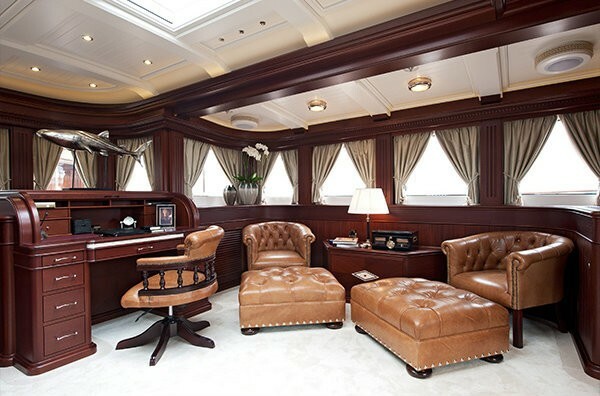 Her stunning interior is a work of the well known design studio Ken Freivokh Design. 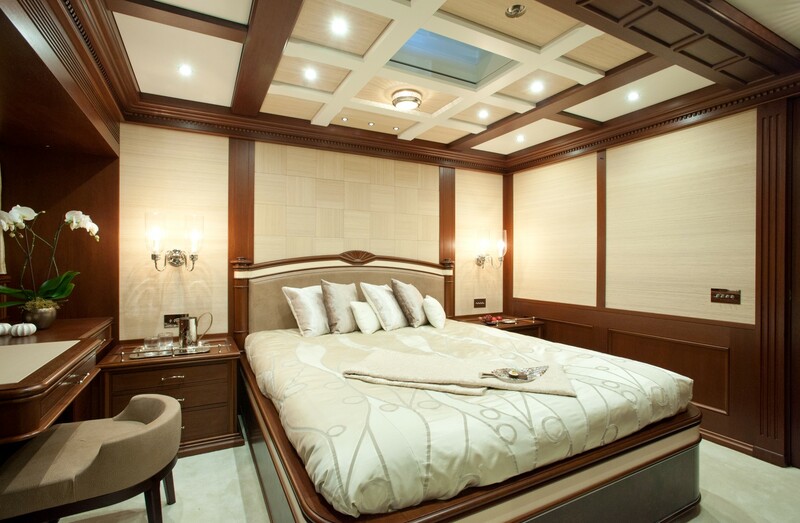 Both Ken Freivokh and Dykstra & Partners worked on the exterior styling of the yacht. 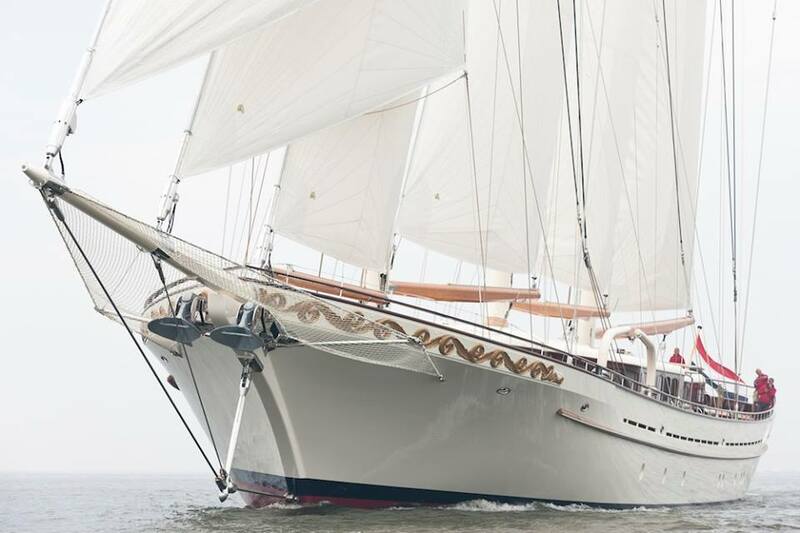 Balk Shipyard in the Netherlands has been responsible for the outfitting and completing the construction to the highest possible superyacht standards. 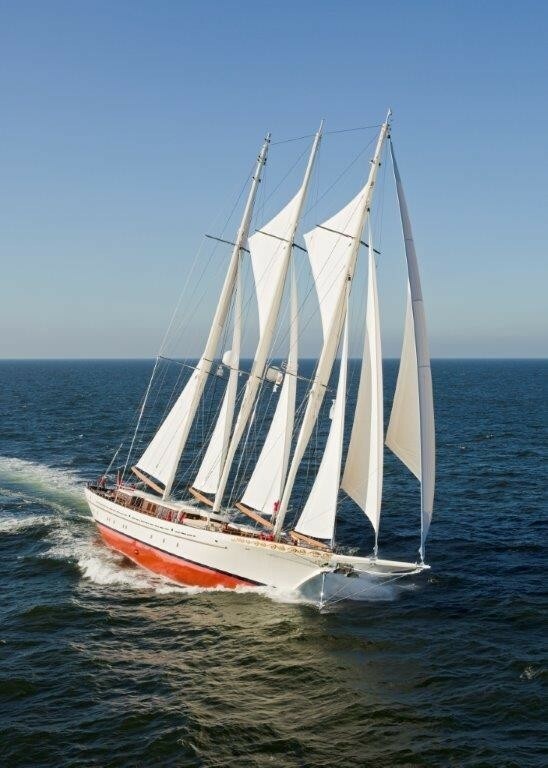 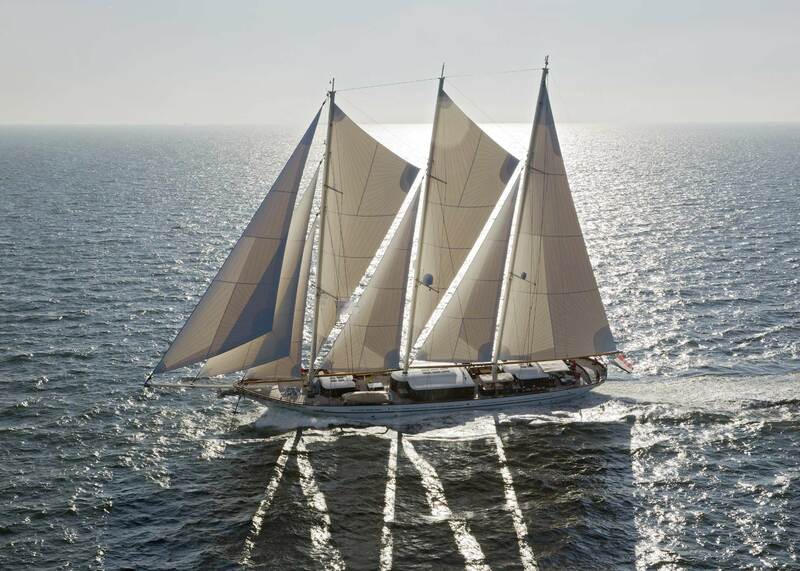 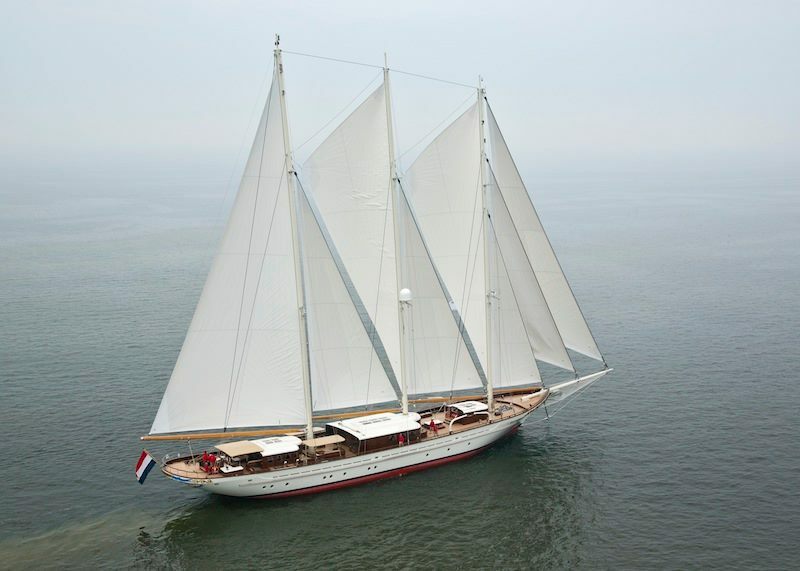 This beautiful sailing yacht is built to RINA (+HULL MAC YCH (MCA) Unrestricted Navigation) classification. 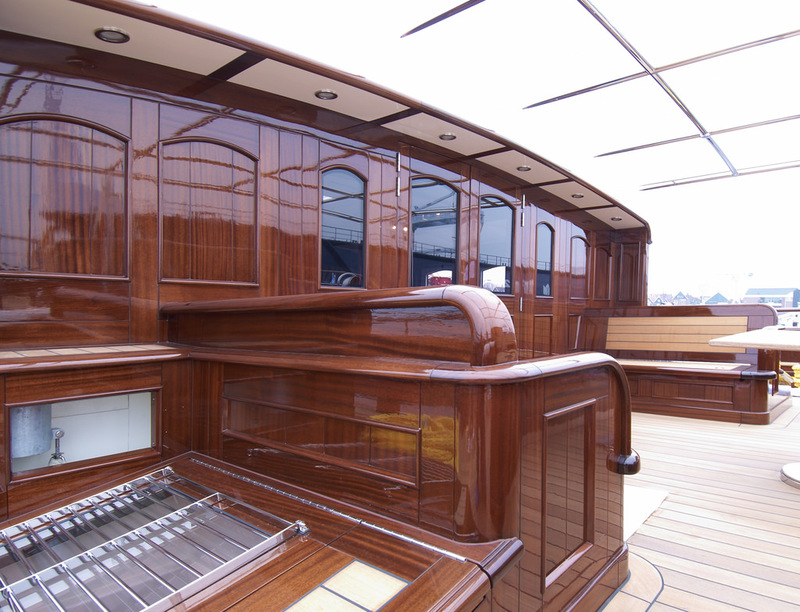 Her hull is constructed from wood, including acajou, sapelli and teak. 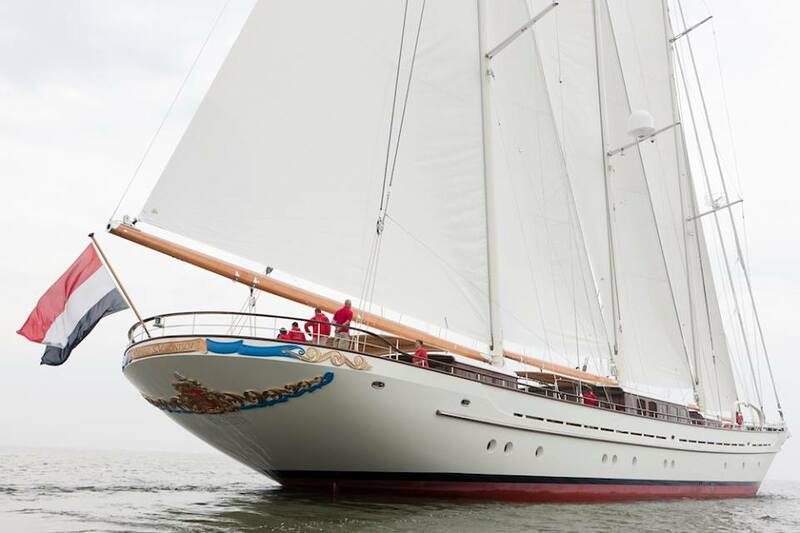 She is powered by 2 MTU 8V 2000 M72 engines with 720KW (966bhp) @ 2250 rpm. 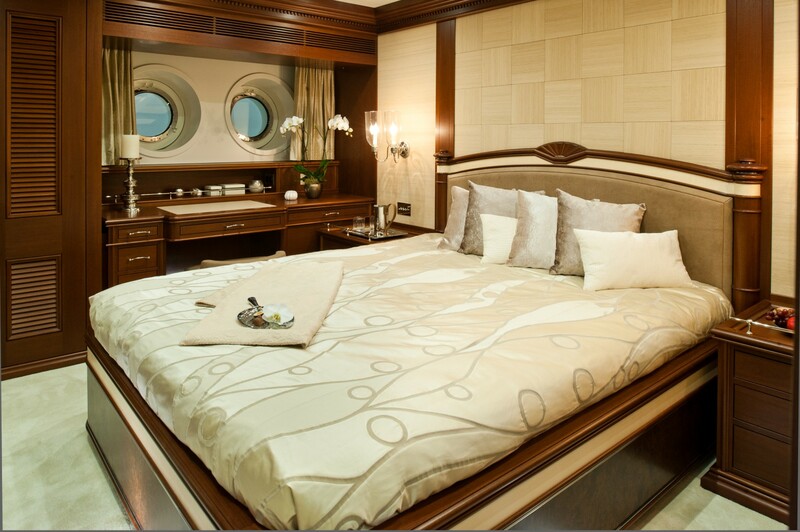 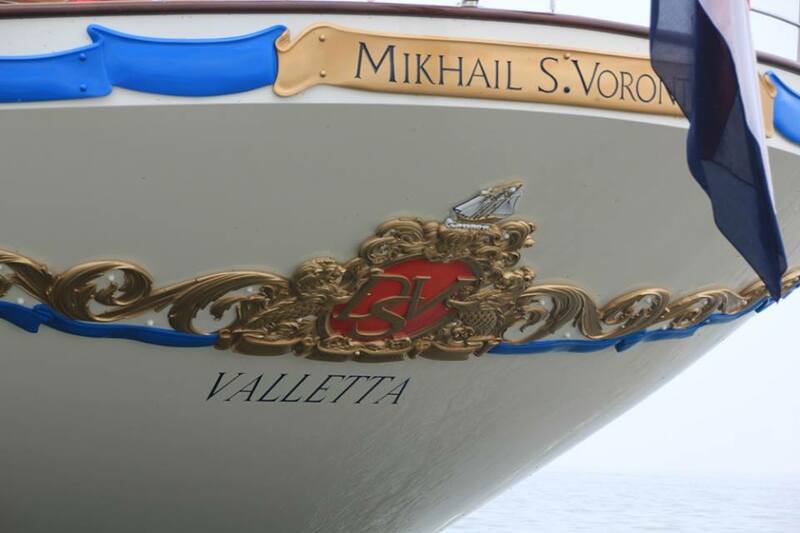 Accommodation on board Mikhail S. Vorontsov is offered in 5 stunningly furnished luxury suites for 12 guests in total. 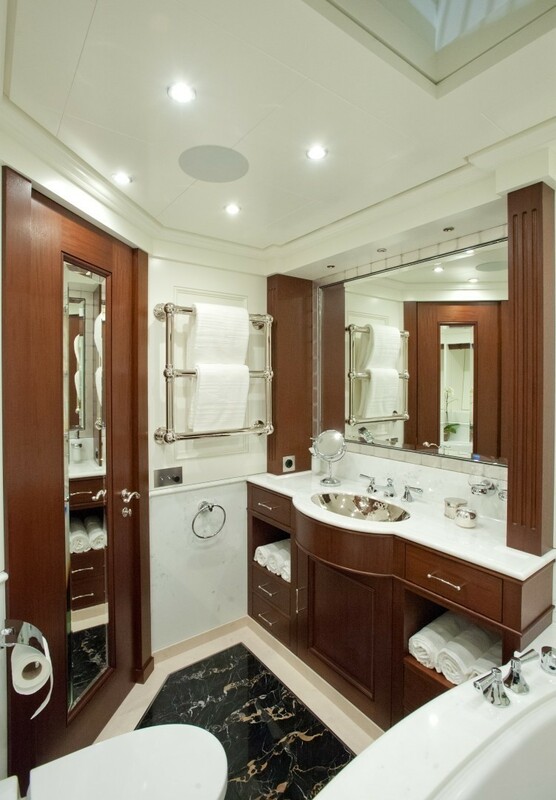 Guests are taken care of by a crew of 12 professionals. 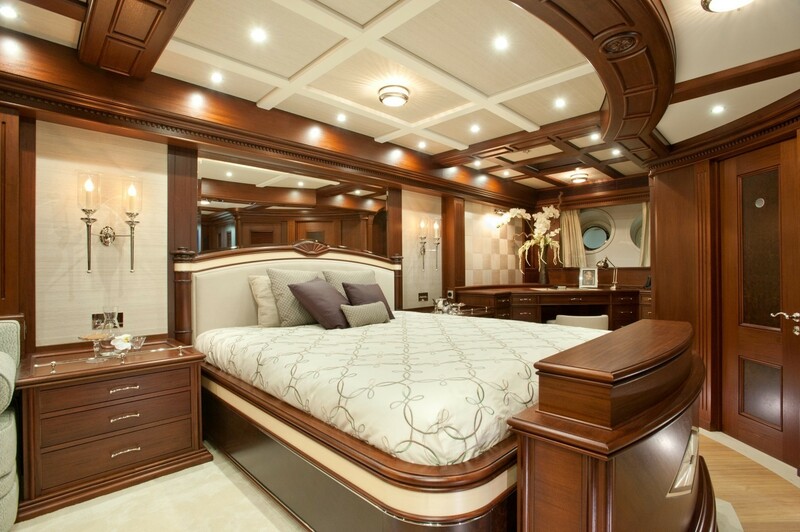 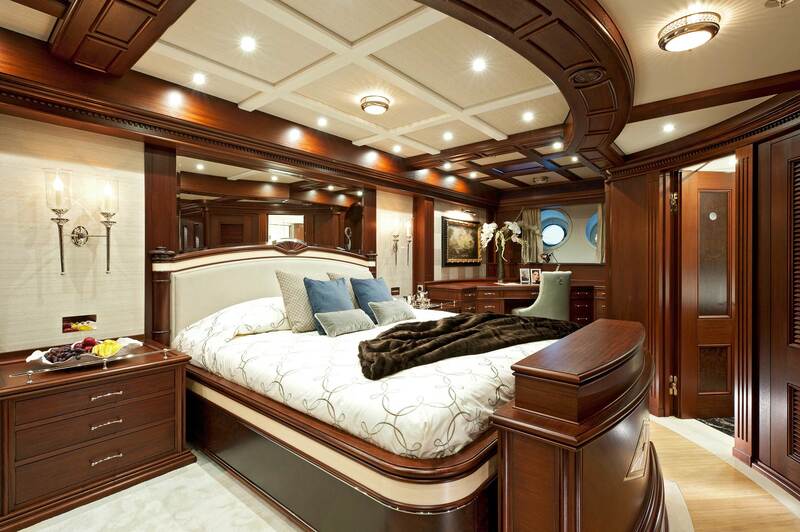 The master suite is full beam of the yacht, and is located aft, on the lower deck. 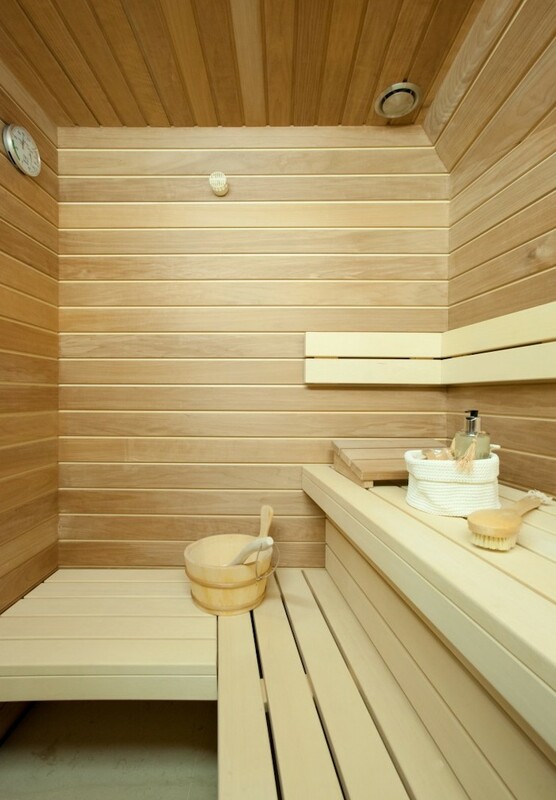 Thanks to an interchangeable configuration, it can include the sauna as part of its private features. 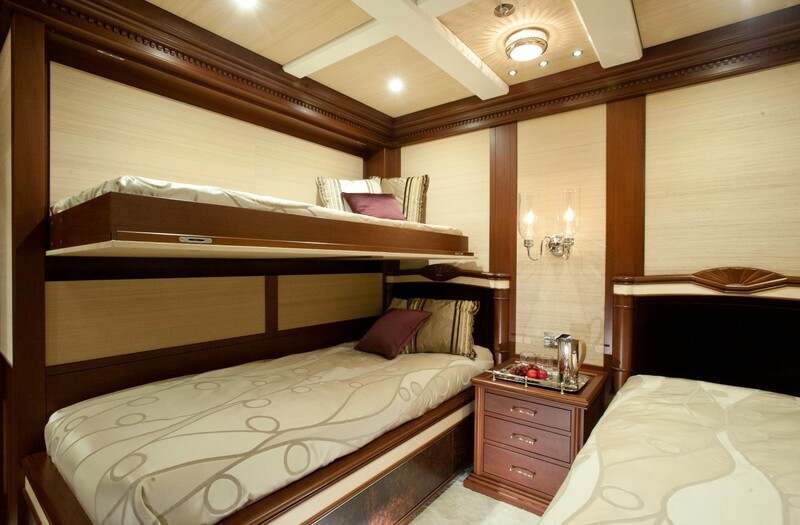 The four guest cabins are amidships and two twin cabins contain pullman berths.